Whitby has plenty of amazing events already lined up for 2014 so make sure you book with us now to avoid disappointment as spaces are already starting to go! For the lovers of 60s music, make sure you've got your touring caravan or motor home booked in with us for the 60s weekend in June and the 60s Festival in September! Have a weekend packed full of 60s music, featuring some of the biggest names of the 1960s from Friday night to Sunday night. If you don't fancy three nights in your tourer, then why not book one of our static caravans where you'll have your home away from home luxeries. 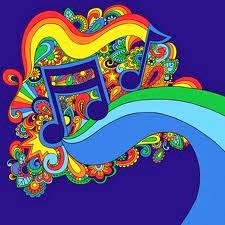 If 60s music is not your scene, then why not try the Soul Weekender in July. The original Soul Weekend, annually packed and featuring the best in Northern Soul, Motown and Modern Soul. This Soul Weekend has been running since 2002 and offers daytime sessions as well as night time entertainment. This weekend allows for a relaxing break as well as the time honored soul experience. Or why not try the Motown weekend, for those who want a lighter weekend with more familiar favourites from the world of Motown. This takes place in September, but don't forget to book your place soon as this is a very popular weekend! If 60s and Soul music is not your thing, then why not head to Whitby for the annual Regatta in August which starts on the Saturday and finishes on the Monday night with a spectacular firework display! There are three days of entertainment for all the family to enjoy including yacht racing, rowing races, fun fair and various free forms of entertainment around the town. 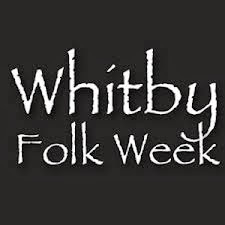 If you like to play and sing Folk Music, or even if you just like to sit and listen to it, make sure you get yourself to Whitby for the Whitby Folk Week which takes place in August!! Wander through the town and venture in to many of the pubs, grab yourself a drink then sit and listen or partake in all or some of the many Folk sessions going on throughout the week. Many sure you get yourself down early though to get a seat as many of the session can get very busy early on! For all you Goths out there, make sure you get your spot booked early for next year as the October Goth Weekend is celebrating its 20th Anniversary!! As you may well know, the main events are held at the Whitby Spa, but there is live music at various hotels and pubs across the weekend. This event has become one of the worlds most popular Gothic events so make sure you don't miss out!! Whitby Holiday Park is the ideal base for your weekend or week of fun in Whitby for 2014 as we are only a short walk along the cliff from the town centre. We have on site facilities to help you get started whethers it's a fry up in the cafe to get your day started or a pint in the Club House to get your afternoon/ night time started! Plus we are dog and child friendly so why not bring along the whole family! So if you want to come along and join in the fun at any one, or all of these events give the office a ring today on 01947 602664 to get your motor home pitch or static caravan booked now to avoid disappointment!! We are taking bookings now so pick up that phone to make sure you get the pitch or caravan that you want whilst we still have places available. Or book your static caravan online at www.whitbypark.co.uk.